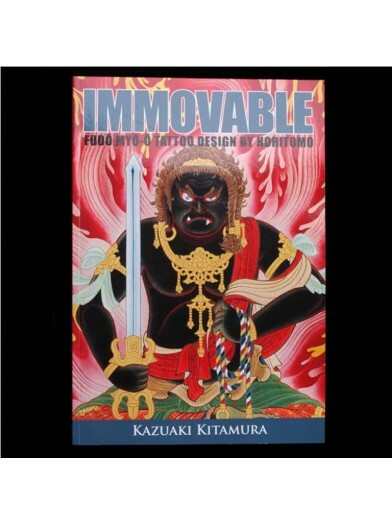 Immovable by Kazuaki Kitamura (Horitomo) & Kitamura Takahiro (Horitaka). 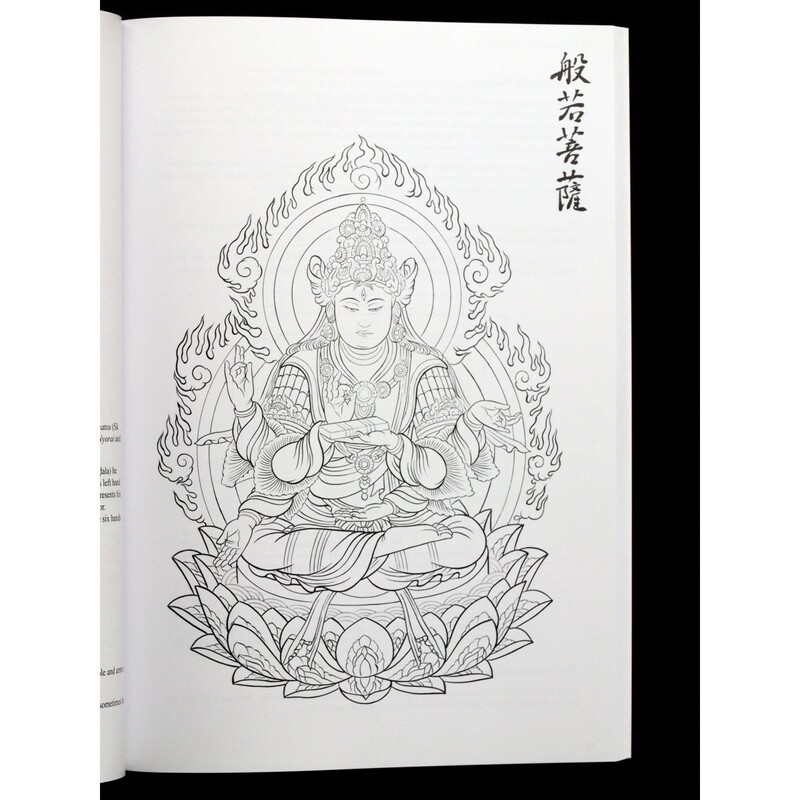 This book presents an in depth study of the Esoteric Buddhist icon Fudo Myo-o featuring writings and drawings by tattoo artist Kazuaki "Horitomo" Kitamura. Fudo Myo-o was very popular in Edo period Japan (1603-1867), Fudo Myo-o still is a popular and exciting tattoo motif, worlwide. Immovable by Kazuaki Kitamura (Horitomo). 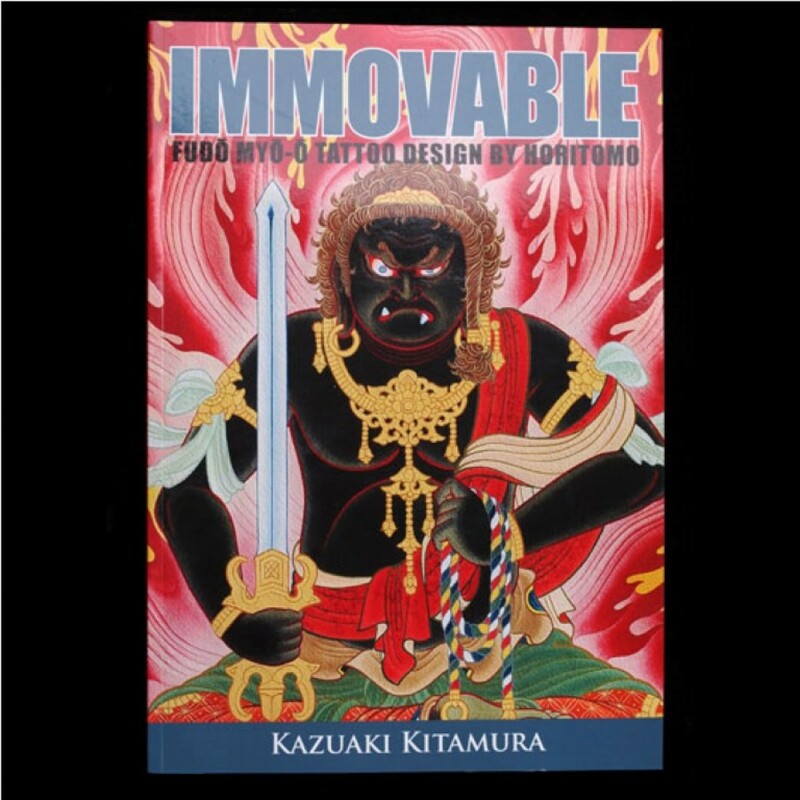 This book presents an in depth study of the Esoteric Buddhist icon Fudo Myo-o featuring writings and drawings by tattoo artist Kazuaki "Horitomo" Kitamura. Fudo Myo-o was very popular in Edo period Japan (1603-1867), Fudo Myo-o still is a popular and exciting tattoo motif, worlwide.